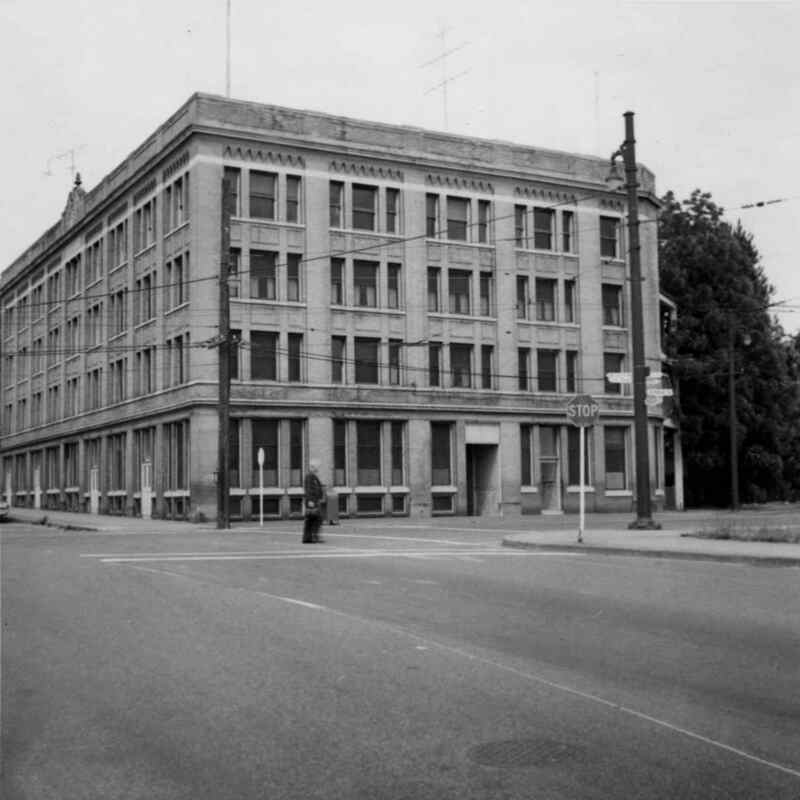 Photograph depicts the Grand Central Hotel at the intersection of Marpole Ave and Hudson St. in south Vancouver. The hotel was built in 1912 by J.J. Graver and run from 1913-1915. It re-opened in 1920 as a home for incurables (veterans). In 1937 it became the provincial infirmary and closed in May 1965.